"Mama well she told me time / is such a wonderful gift / You're not running out / You're really running in." I am absolutely elated to bring you this week's guest—one of my favorite artists, singer/songwriter Trevor Hall. Trevor's divinely-guided music is infused with soul and spirit, and lifts me (and so many others) up who crave connection to meaningful lyrics and exquisite melodies. View full show notes and Karma song lyrics at PivotMethod.com/podcast/fruitful-darkness. Become a founding member of the Pivot Podcast community by donating $1 per show at Patreon.com/pivot. 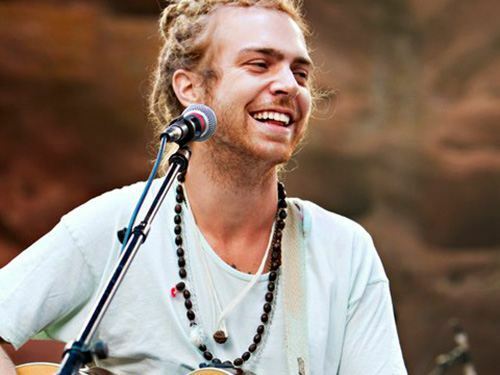 Raised on an island in South Carolina, singer/songwriter Trevor Hall realized at a young age that music was more than just a passion - it was his life’s art. At sixteen, he recorded his first album, soon after he left California where he studied classical guitar and was introduced to the practices of yoga and meditation, which would greatly influence his life and his music. Hall’s music, a blend of roots and folk music, is imbued with a deep love of Eastern Mysticism. His previous full-length album releases, Chapter of the Forest (2014) and KALA (2015), debuted at #3 and #2 on the iTunes singer/songwriter charts. The Fruitful Darkness is Trevor’s first independent release — supported by his fans know as THE VILLAGERS — has become the #1 Music campaign of its kind in 2017 — being released unconventionally, in three song installments on specific lunar dates.